March 17th VE testing in Kennewick saw 6 people come in to test. 2 folks came in as Techs and both left as new Generals. 4 Came in with no Lic. 3 left as new Techs. and 1 left as a new General. Congratulations to you all. Thank you again to our Local VE team for a great test session. 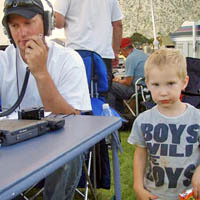 Director - Mike Tesky KC7CCK replacing Steve Sterling. 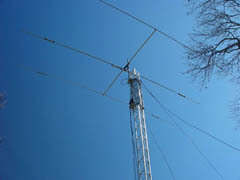 This site is devoted to providing a forum for helping the club members, as well as anyone interested in amateur radio, receive the assistance needed to get the most enjoyment out of the many facets of amateur radio. 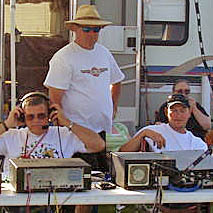 The Tri-City Amateur radio club serves ham radio operators in southeast Washington state including the cities of Pasco, Kennewick, Richland; Benton and Franklin Counties and the surrounding towns. The main menu is in the upper right corner. Regular Club and Business Meetings start at 7:30 pm and are held at the Red Cross Building, 7202 W Deschutes Ave, Kennewick. 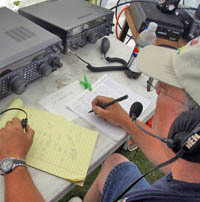 Top Menu Button "Information"-- contains the bulk of information on what's happening with Tri-City Amateur Radio Club, including area repeaters and packet nodes. 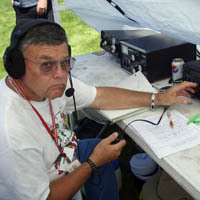 It has special announcements, the President's Corner, meeting minutes, events schedule, event reports, and a variety of articles about amateur radio subjects. Top Menu Button "Calendar"--provides a calendar view of club and other events of interest. Top Menu Button "Forums"-- a typical forum-based area where subjects can be broached and others can comment. Top Menu Button "Photos"-- an area where members can contribute photos, organized into albums, for viewing by all. Top Menu Item "Swap Meet"-- a Buy-Sell-Trade classified ad tool for use of area amateurs. 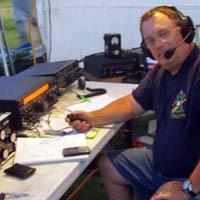 Top Menu Item "About"-- a page providing an overview and history of Tri-City Amateur Radio Club. I have for sale, a Ten Tec Jupiter w/ built-in antenna tuner. 1. Ten Tec power supply, Model 963. (w/schematic). 2. Ten Tec desk microphone, Model 706. 5. VHS video: introduction to the Jupiter. It has never been upgraded since I bought it. Mainly, because shortly after I bought it, Ten Tec came out with some upgrades, that I would have had to send the unit in to completed. i.e. CW Decoder. more Memory, and a different colored display. Doors open at 1:30pm. Walk-ins are welcome, but it is good if we have some idea as to numbers that will be there. The doors are locked and testing starts at 2:00pm sharp. If you have special needs to test please notify the area coordinator Mike Tesky (contact info below) at least a couple weeks before the test date. Cost is $15. Please bring some form of picture identification (driver's license, passport, school ID, etc.) If you are testing for a license upgrade you must bring a photocopy of your current amateur license, for which the examiners must send in with the paperwork. QRP WATT METERS FOR SALE. 10 WATT FULL SCALE...POWERED BY 9 VOLT INTERNAL BATTERY OR EXTERNAL 12 VOLT DC. AND WHAT YOU ARE INTERESTED IN.